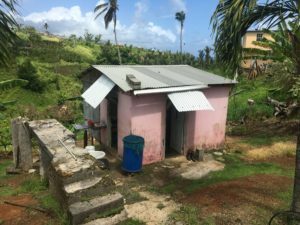 On September 18, 2017, Hurricane Maria made landfall on the small island nation of Dominica. With maximum sustained winds of 270 km/h and torrential rains, it was the worst disaster the country had ever seen. In the aftermath, power lines were down, around 85% of houses were damaged, and thousands had all their possessions swept away. 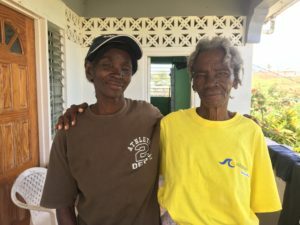 Many of our sponsored Grans spent the storm in a shelter and stayed there ever since because their houses had been destroyed and they had nowhere else to go. Nine months later, much devastation remains. 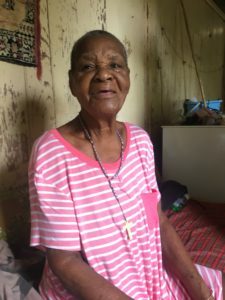 Sadly, around a third of sponsored Grans passed away after the storm due to the stressful conditions in the wake of the storm, and 90% of the island is still without power. In addition, many regions still have no running water. But many Grans relied on their resiliency and their love of life to get through this terrible hardship, and the emergency medical care they have received from the government and organisations has given them the hope to rebuild. We wanted to share their stories to give you a glimpse of their courage in a time of crisis. 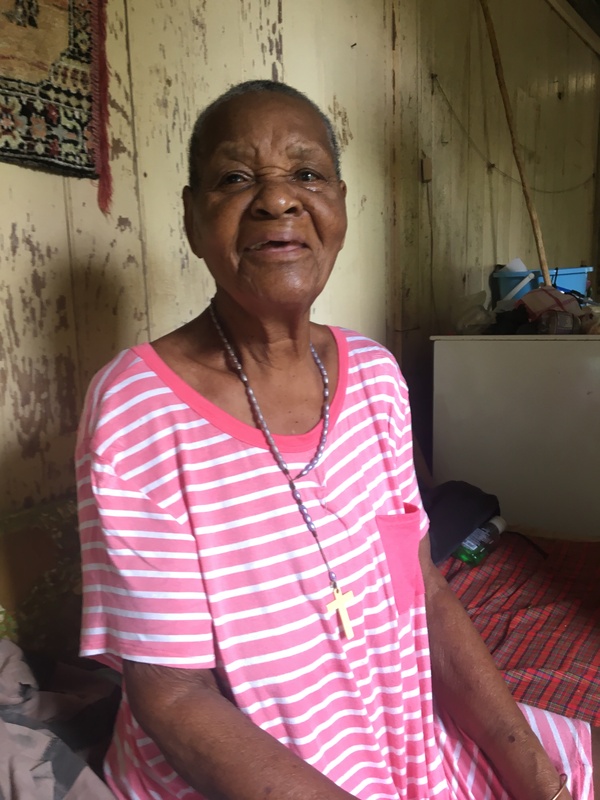 Arabella Joseph spent the night of the storm in a shelter and is now living in an empty vacation home with her daughter and her two grandsons. 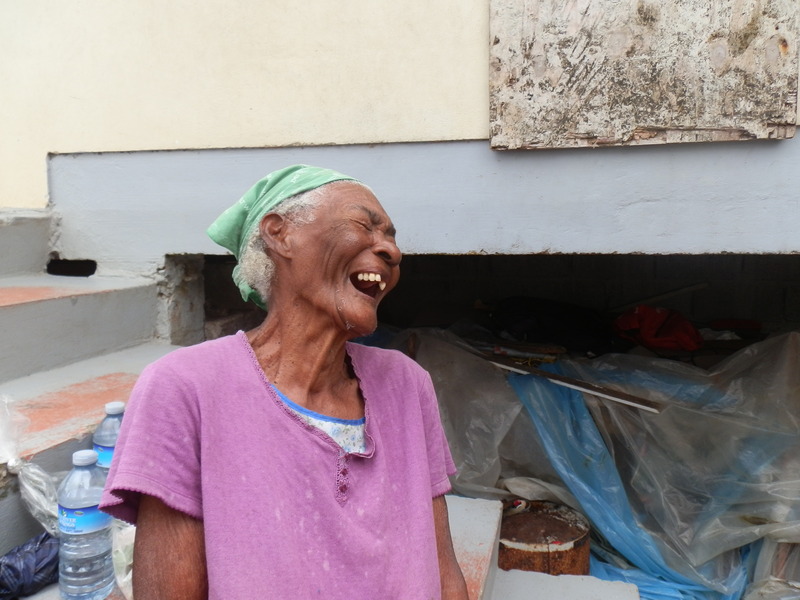 Her house is being rebuilt, and she is thankful for what she has and tries to focus on being positive. Florence Stout lost most of her house. All that remains is a little shed, where she lives with one of her seven children. 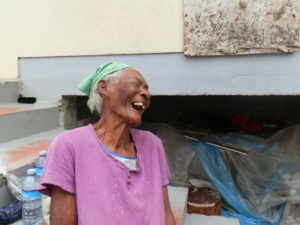 Instead of dwelling on the hardships they are facing, she dances to express her joy. Rosaline Nixon is a new applicant. Listed as vulnerable by one of our partners, she is looking for a sponsor. 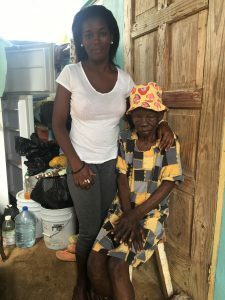 A widow, she lives alone in a shelter now that her home was destroyed, but she holds out hope that her situation will improve. Ursula Jno Baptiste lives in the mountains, which were heavily hit by the storm. Maria was unlike anything she had ever lived through, but she is grateful to be alive and loves sharing her joyful laughter with those around her. Gladys Christmas is 103 going on 104 years young. She lost her roof and her stove during the hurricane, but she is thankful to be staying with her granddaughter Sheryl. Her blindness has not stopped her from seeing the bright side of life. The road ahead is long and difficult, as many are still without shelter and are living with only the barest of essentials. However, with your continued support, the Grans will be able to recover.